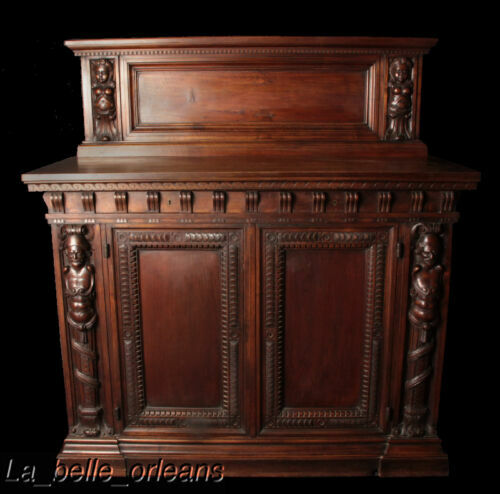 SUPERB WALNUT CARVED FIGURAL CABINET WITH HUTCH. WOW!! !